I use a 12-channel, 4-bus mixer in my edit suite. Although these days a lot of what you're ingesting into you edit system is digital and doesn't require analog inputs. There are some cases in which you may want to ingest source from a BetaCAM, VHS or other format that predates DV. This week we'll discuss wiring a mixer into your edit system for analog I/O in a way that doesn't induce feedback. In addition to allowing me to choose from a number of audio input devices, I also use my mixer to feed the speakers in my edit suite. 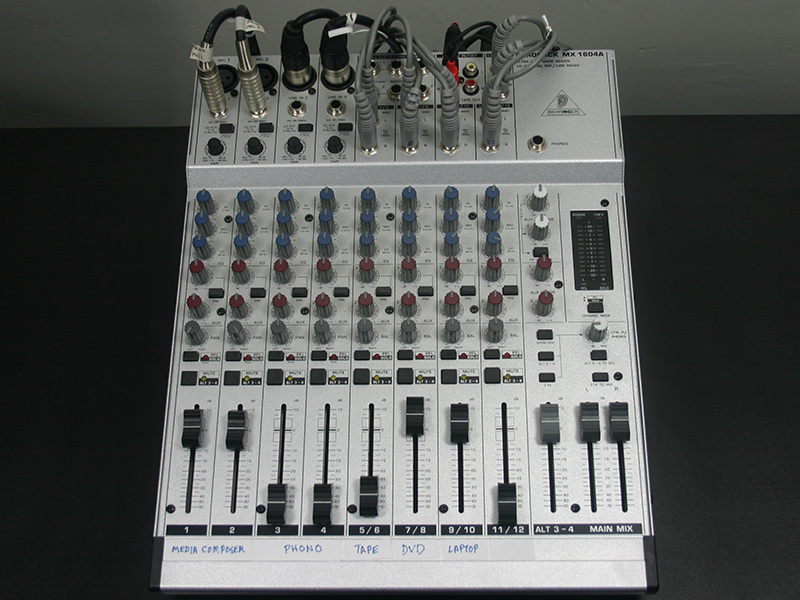 This means the mixer is set up to send an audio signal to the input of the edit system as well as accepting the audio output of the system. Send ALT 3-4 to CTRL-R.
To accomplish this, I have a Behringer Eurorack MX1604A, which is a 4-bus mixer that allows me to hook up both the input and output of my edit system. The trick is to make sure that the edit system output channels are never sent to the main mix which is sent back to the edit system input. 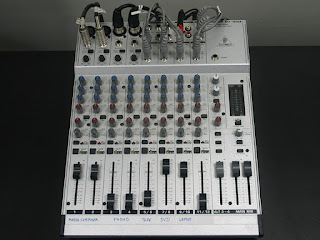 I do this by having the main mix bus of the mixer wired to the input of the edit system. This allows any inputs to the mixer to be sent to the edit system. 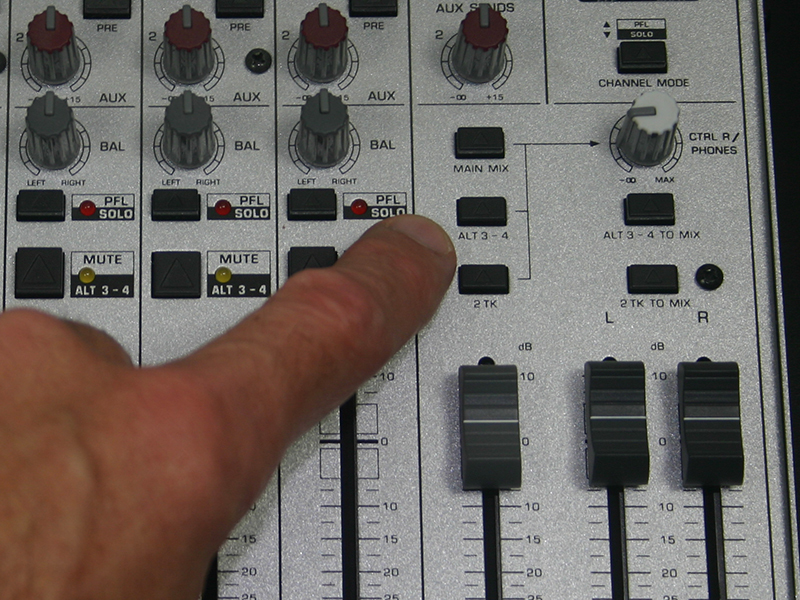 The output of the edit system, is sent only to ALT 3-4 of the mixer. The Control Room (CTRL R) output, of the mixer, monitors the ALT 3-4 bus as well as the Main Mix bus so I can hear everything that is sent to the mixer in the edit suite speakers. The Main Mix, on the other hand, is fed everything input into the mixer except for the output of the edit system which is on ALT 3-4. 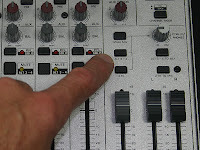 As long as the mixer you have has more than a single bus, you should have no problem setting it up so that all your sources as well as your edit system are sent to it without the risk of feedback. Is the Make-Up Effects Artist a Fading Craft?